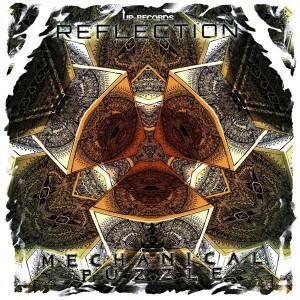 UP Records presents Mechanical Puzzle, the latest mind-breaking downtempo gyro-tech from Reflection AKA Gibb Tartaris, an emerging talent from Canberra, Australia. With an amazing flow this release is something to remember for those who value unique electronica. Delving into an intricate world of “mathbient”, Reflection explores eerie melodies, unusual time signatures, and glimmering sound textures in pursuit of interesting sound experiences. Please enjoy this beautiful downtempo collection from Australian producer Reflection, an artist who has been releasing a lot of interesting music, much of it for free, so that his sound might reach so many avenues and travel down so many roads. Mastered by Fahad Abdulaal (Black Samurai) at 2Hz Audio, Melbourne, Australia. Artwork by Julia Fulop and graphics by Adam Ray. MP3 Download | FLAC Download | WAV Download · Download count: 12,480. Deep & wicked stuff as always ! Great album! But there’s a little problem. Great album thank you so much for sharing! You are a super talented producer, keep making music- hope to see you in America someday!!! Brilliant album, thank you. From first attempt really didn’t get all of the quality and intellegence of the music, but understood that it worths to listen one more time. After second trial listening already 3 days in a row. Among my favorite albums this one is close by sound complexity and harmony (but with a bit different style) to Medicine Drum – Talking Stick. Excellent album! Not overly complex, but rather a satisfying array of unpredictable beat-rhythms pulsating through my membranes. The downtempo ambient soundscapes were equally captivating. As a sidenote, Canberra is my birthplace! Wow, this is amazing stuff. Very unique indeed.